If you have a lot of time, this is the best way to spend it with your favorite heroes! Choose the best one for you and start to snowboard right now! Use all tips and collect rabbits. Do not stop and you will love this game! We wish you good luck here. If you wanna to use all your sport skills and try yourself in such a wonderful winter kind of sport, then the only one advice is not to waste any precious minute and enjoy the game right now! 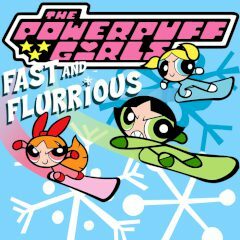 Get ready to kick it sideways down a tweaked-out mountain with the powerful girls. The landscape is so wonderful and you have a great opportunity to enjoy it while playing this game! Cool, yeah?! Choose the character and the snowboard that is most appropriate for you and become the champion here! You can be sure that you will be not disappointed! Have a lot of fun.